Play ball.... with a barbed wire baseball bat because you're so metal it hurts! Do it all in style while wearing this smashing Swarm of Eyes baseball shirt. It features long heather grey raglan sleeves and ringer, and a premium cotton body printed with a striking new design by Mike D. (Killswitch Engage)'s design house, DarkicoN Design. 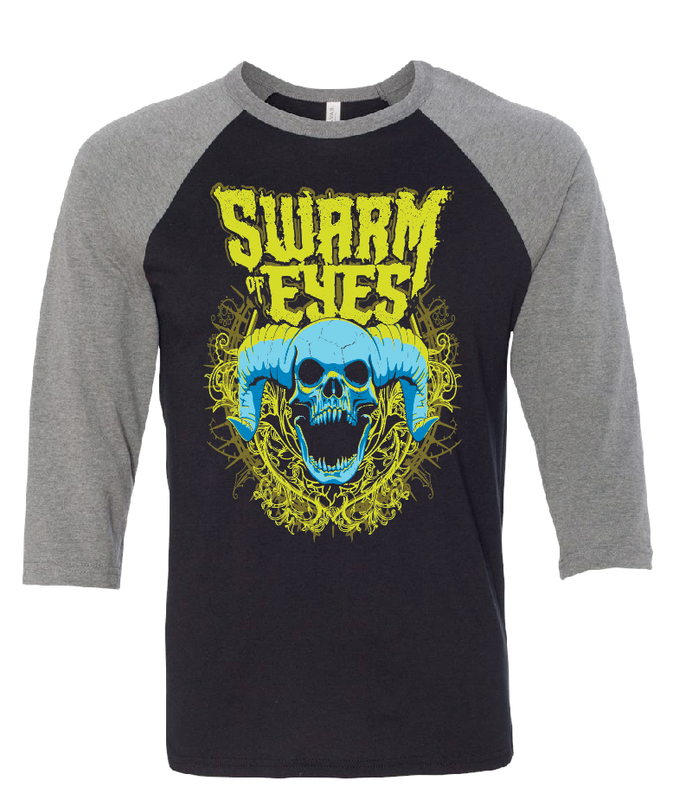 Emblazoned with an acid green Swarm of Eyes logo and a screaming blue skull with horns, this shirt is as intimidating as it is eye-catching. Snap up this snazzy long-sleeve while you can!